What competitions will there be at Seaside Shimmy? Have you ever wanted to showcase your skills and talent, or get silly and creative with your dancing? Here’s your chance with a thirty second showcase—open to ANYONE! More information here! A classic competition always exciting to participate in and watch. 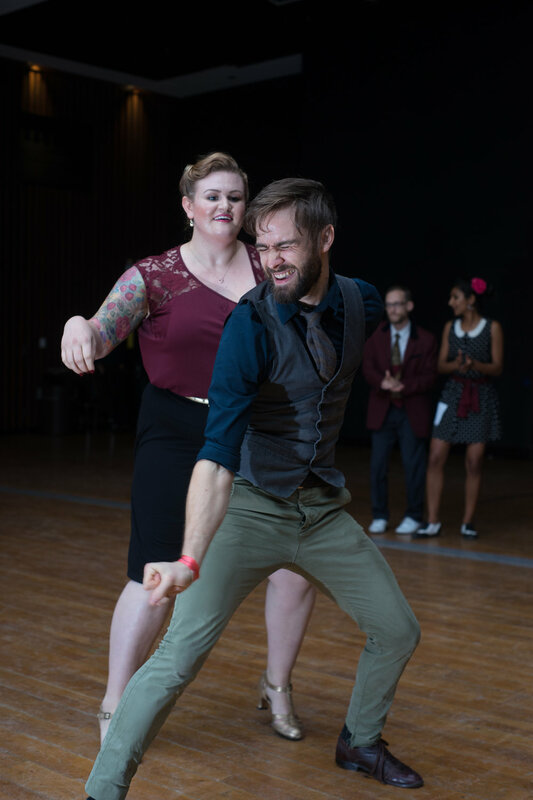 Dancers getting randomly paired together—even if they've never danced together before—and cut a rug! Prizes: discount coupons to events and/or classes! What is a Mix & Match Competition?